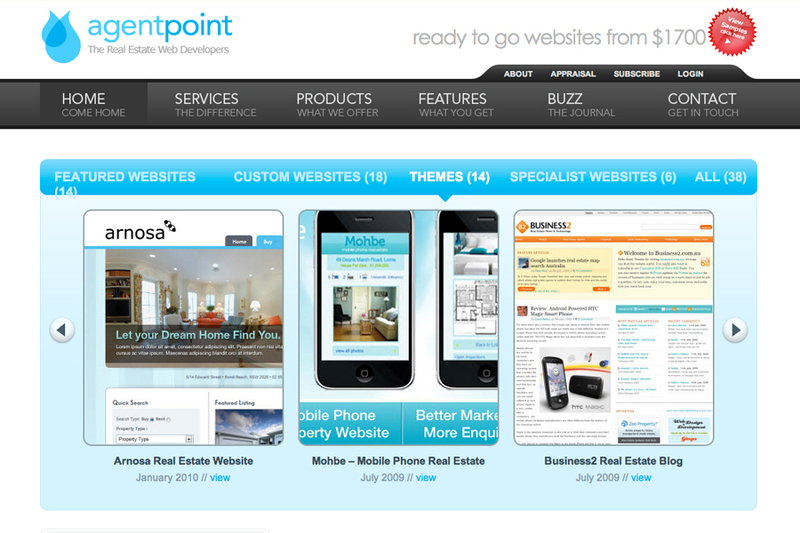 Agentpoint is a full-service professional real estate web design and development firm, founded in 1997. We have offices in Sydney, Australia and Boston, United States. We have a talented team of professionals in both countries and across the World who specialise in Standards Compliant Internet solutions for the real estate industry. With clients world-wide, Agentpoint produces innovative, high-performance websites for companies in the real estate industry. We use the latest programming and web design techniques to create an optimal, engaging online experience for every client. Our Sydney and Boston web design agency provides comprehensive real estate web systems, Web and Graphic Design and E-Commerce solutions. Our team of talented and creative web designers and developers are ready to partner with you to deliver effective website solutions that helps your real estate business to expand and flourish.